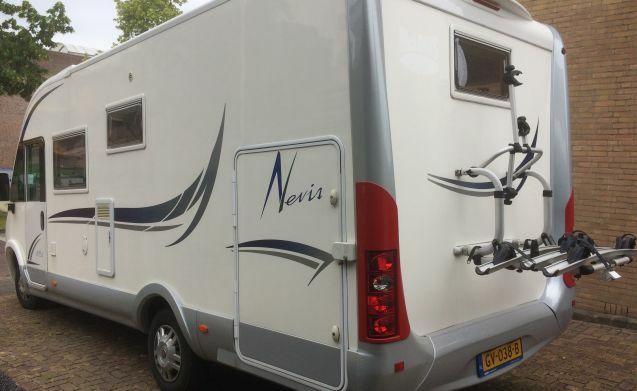 Delicious almost new, fresh and luxurious integral camper. 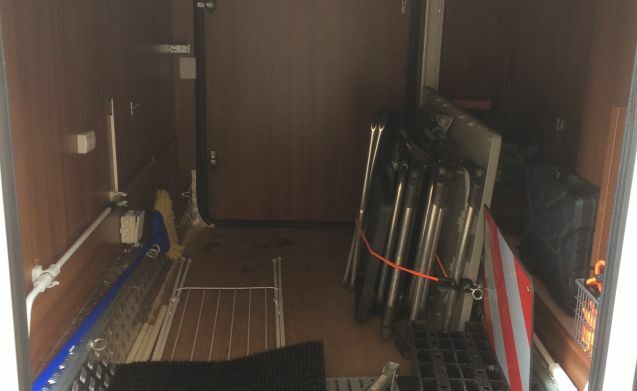 The rear part of the camper with the fixed bed can be screened off by means of an inside sliding door so that you can sleep peacefully while the others can still sit in the living area and watch TV. Ideal if you are traveling with children or with 4 people, you still have enough privacy during the night. 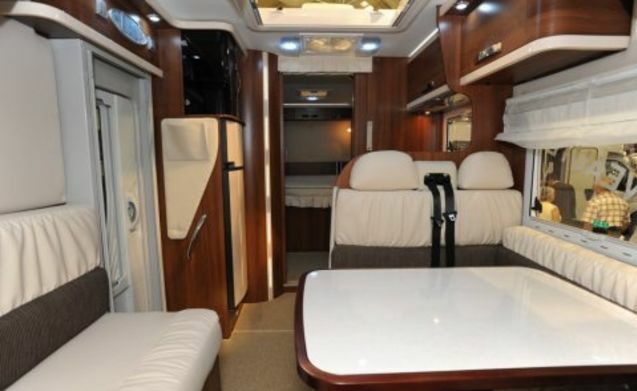 The camper is equipped with extra air suspension which makes it runs smoothly and very quietly. 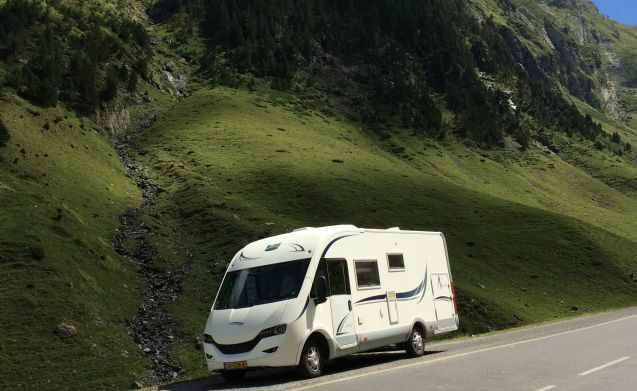 With us the camper has an average consumption of 1:10 but that is of course also dependent on your own driving style. 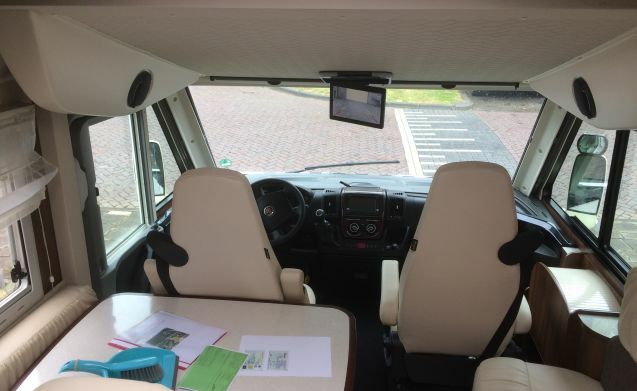 Some other features: separate shower room • separate WC • Motorhome navigation • ring heater • automatic TV dish & 19 "TV • large fridge and freezer • Mifi controller • Stereo installation - bluetooth internet • 4 burner gas stove - folding screen with rearview camera - inverter 1500W230V . There is a large solar panel placed on the roof so plenty of power. 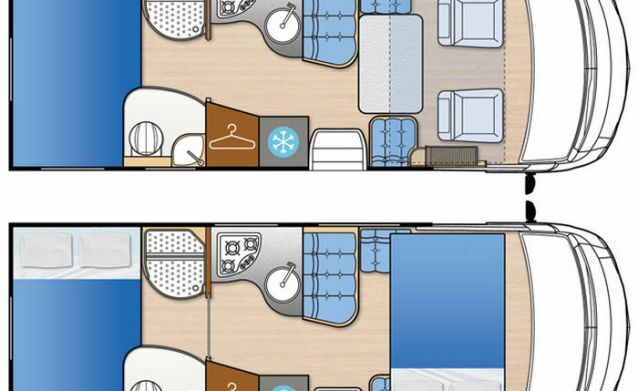 The camper has a large garage. also for any extra or electric bikes. The rear fixed bed is adjustable in height, which can be seen in the height of the garage.